We have further shortlisted the Top 3 out of Top 10 Accounting tools for Small and Medium Businesses. If you are a business owner, you would rather spend your time running your business than stressing out about manually updating spreadsheets, tracking expenses, and creating reports. Accounting is an aspect of a business where a bulk of financial information occupies numerous files and considerable space. All these important data files are handled by an accountant specialized in doing certain time-consuming tasks and managing company finances. An accounting software helps you to do all the basic accounting tasks with a set of ultimate features such as automation, Tax preparation and payroll process. Accounting tool allows access to multiple users from mobile and integration with E-commerce applications. SageOne is very simple accounting software tool that everybody can use. The functions are very easy to understand so that you can master the SageOne in minutes. The tool controls your financial processes by linking your bank accounts and credit cards. This tool is a global leader in small business accounting. The tool always up to date, encrypted and secured. It keeps a backup for a user. Collaboration and payment processing are good to use. 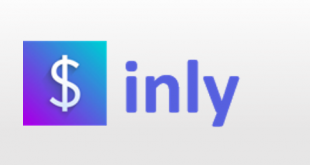 Ability to invoice in multi-currencies. The tool is designed for freelancers and startups, not for enterprise level business. 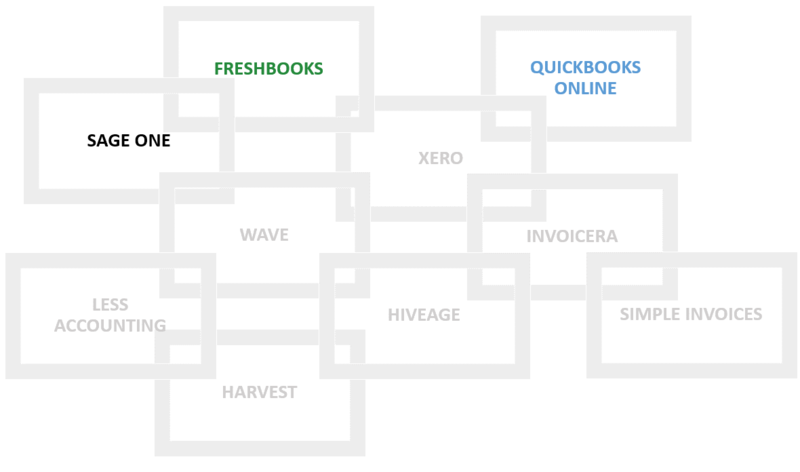 FreshBooks is a cloud hosted platform detailed enough to satisfy your accountant. 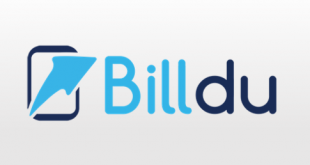 Users can generate invoices, receipts and bills very quickly. The tool enables a user to manage clients no matter what their location is. 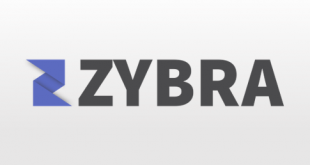 The tool supports several payment processors. Bookkeeping and payroll software are stand out features. FreshBooks is not equipped to manage large volumes of inventory, and complex situations. QuickBooks can be configured to perform any task you require. This tool is expandable and very intuitive. It can be scaled and customized to fit your growing business needs. All of three software tools are good to start with while the selection process depends on the specific needs of your small business. Sage One is the first choice for startups because of its ease of use and simplicity. FreshBooks is costlier than QuikBooks Online, so if money is not your concern, you can purchase FreshBooks for its stand-out features. The Evergreen package of FreshBooks is a decent one with unlimited invoices, transactions and users. 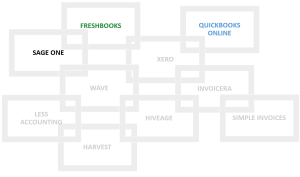 If you run a service-based business or your clients work from multiple locations, QuickBooks Online might be a good choice which lets you do accounting with free training and setup.